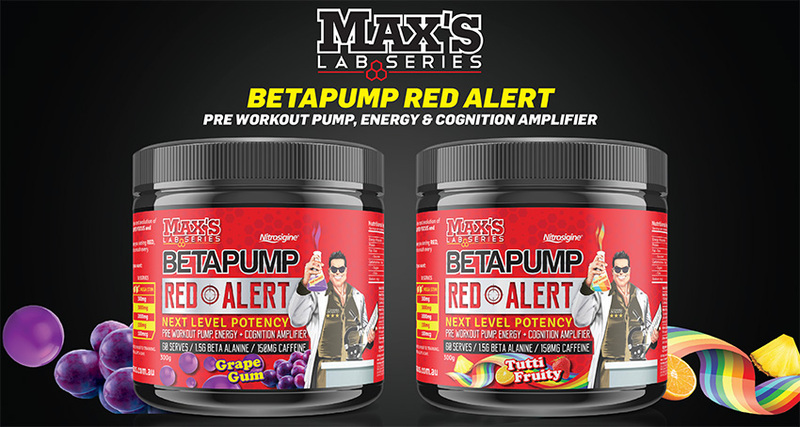 Max’s have sent out the alert, taken their Beta Pump and created a next level potency pump, energy and cognition amplifier. Bringing in new age science with researched backed highly potent ingredients, the Red Alert has arrived and you can be assured that you are about to experience the best workout you have ever had. Designed to pump you up both physically and mentally, Max’s Red Alert will have you feeling focused, with full body energy and unrivaled mental focus. Combining perhaps the 3 most efficacious performance enhancing ingredients on the market, the Energy and Endurance Extender blend is designed to increase Creatine Phosphate levels, improve lactic acid removal and increase strength, power, and mental performance. Packed with highly effective nootropics, alongside a unique extract in Huperzine, the Cognition complex works by increasing available levels of acetylcholine, which is known as the learning neurotransmitter while simultaneously helping with increased levels of adrenaline and dopamine production as well. With the addition of Huperzine, the re-uptake of these neurotransmitters is also reduced, meaning you will feel better for even longer. The Nitric Oxide matrix works two-fold via its ability to increase the biosynthesis of Arginine, which is responsible for increasing nitric oxide levels, while also helping support more energy production and preventing the breakdown of nitric oxide by inhibiting the nitric oxide synthase enzyme. Not only does this mean your pumps will be bigger, but they will last longer as well! The next evolution of Beta Pump has arrived! 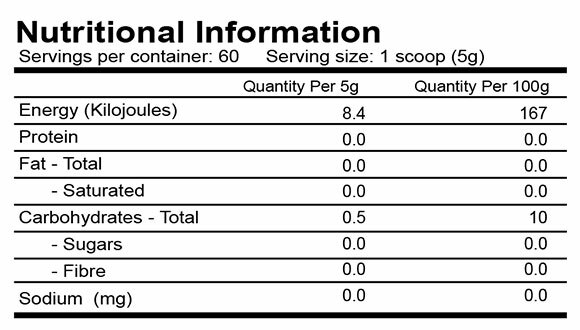 For steady energy release, start with 1 scoop 30-40min prior to exercise and then move into the full clinical dose of two scoops when you are ready.